Happy November Everyone! I can’t believe we are already almost through with this year! I hope you all enjoyed last month’s topics all around keeping our school aged children healthy during the school year.With winter quickly approaching (not so much for us in so cal ;)), I thought this month we would dedicate to the ever present problem of auto-immunity and immune system regulation through this season. We will start this week with how auto-immunity, and really just improper immune system regulation can start within the brain. The following weeks will include the Gut/Brain and Digestion Issues, Food Sources, and Emotional Toxins. If you have noticed, all my blogs for the month start in succession. This is because this is how I treat my patients in my practice. My treatments are in phases, because the brain works in phases or prioritization. That’s why I always start every patient with cranial care to begin, to free up the brain and then we can get to real deficiencies. AutoImmunity starting in the brain? What do you MEAN?! Being a Craniopath, I know a thing or two about the brain. Your brain in fact controls every function of the body. The brain can modulate activity in the immune system from the basis of stress. … The communication pathways that link the brain to the immune system are normally activated by signals from the immune system, and they serve to regulate immune responses. So we know that stress in itself causes our immune system to decrease and therefore has a pathway of interaction between the two systems. We are talking about overall stress here. But, stress can in turn come from many difference sources right? Emotional, diet inflammation, toxins, and stress to the actual brain from brain trauma. A study in 2008 also shows how the immune system and Brain communicate to control Disease.”The spleen, once thought to be an unnecessary bit of tissue, is now regarded as an organ where important information from the nervous reaches the immune system. Understanding this process could ultimately lead to treatments that target the spleen to send the right message when fighting human disease. Mauricio Rosas-Ballina, MD, working with colleagues in the laboratory of Kevin J. Tracey, MD, figured out that macrophages in the spleen were making tumor necrosis factor, a powerful inflammation-producing molecule. When they stimulated the vagus nerve, a long nerve that goes from the base of the brain into thoracic and abdominal organs, tumor necrosis factor (TNF) production in the spleen decreased. This study complements previous research performed in Dr. Tracey’s laboratory, which showed that stimulation of the vagus nerve increases survival in laboratory models of sepsis. The findings were published July 22 in the Proceedings of the National Academy of Sciences. Many laboratories at The Feinstein Institute study the immune system in health and in disease. Every year, about 500,000 people develop severe sepsis, a syndrome triggered when the body’s immune system wages an attack on the body that is well beyond its normal response to an invader. Sepsis kills about 225,000 deaths in the United States each year. Pretty cool huh? What this means is that the vagus nerve, which exits at the base of the brain has a direct link with immunity. So if this nerve is affected in any way, the immune system could be compromised. “The immune system is made up of organs that control the production and maturation of certain defense cells, the lymphocytes. Bone marrow and the thymus, a gland situated above the heart and behind the breast bone, are so-called primary lymphoid organs. The bone marrow produces defense cells. Some of these defense cells, the so-called T lymphocytes (T stands for thymus), are differentiated in the thymus. That means that this is where they develop into cells that are capable of recognizing non-self proteins, so-called antigens. So since the brain controls every one of these organs of the immune system, it would be important to make sure the brain is working first and the signaling is there first before actually going to each organ right? What is also interesting is there is an actual lymphatic system within the brain as well called the glymphatic system. This system is most active when we are in deep sleep. So sleep of course is super important for immune system health. We must address sleep when dealing with immune system challenges, as sleep is where our body performs healing. The brain is the MOST sensitive to inflammation. Surrounding the brain is a protective layer called the blood-brain-barrier (BBB). Its job is similar to that of the intestinal wall; to make sure that large molecules and pathogens don’t enter the brain where they can cause inflammation and cell damage, while allowing certain vital substances in to help nourish the brain. In a process similar to leaky gut, the BBB can become inflamed and damaged, becoming hyper-permeable. We call this leaky brain. Yes, leaky gut and brain go hand in hand. Autoimmune disease is now 1 in 3 people. It’s huge. It’s often thought that it’s just too much of your immune system reacting and so it’s attacking your body. Which is partly true. Your immune system is attacking by stimulating the adaptive part of your immune system. But the innate internal part of your immune system is completely depleted with autoimmunity usually from brain and gut inflammation. Immune suppressant drugs are really the only option for individuals with autoimmunity in the western world. This depletes all of the immune system. Which for most, causes problems because they are now susceptible to everything under the sun. We DO have to calm down that overactive part of the immune system ( stimulating the brain), but we also have to build up the internal immune system as well to really balance the immune response. Since the brain and gut talk to each other so intricately, we have to address both areas, but first start with the brain. Antibodies from autoimmunity can also start to leak into the brain and start attacking the brain as well. Something really common with hashimotos, is antibodies will start traveling to the brain. So, we really need to make sure we seal up that blood brain barrier, take as much inflammation off the brain as possible and then work on the other end. Of course nutrition will be implemented from day 1, but I want to emphasis the importance of healing that brain first. If your brain is leaky nutrition might not be as successful. So, what causes a leaky brain?! What I see most often in my office is head trauma. Usually someone at some point in there life has either hit their head or rattled their head. They thought nothing of it, and continued on with their life, not realizing over time symptoms started to creep in. Or were a child and it was never brought to attention or remembered. Post concussion syndrome is extremely common, and completely misdiagnosed. There are no good assessments being done for child athletes in their physicals. Although some are getting better, most children don’t say anything or don’t want to be taken out of a sport. But, I can’t stress enough how bad it is to not heal the brain before going back into your normal routines. It is more important to sit out a game, than to harm your brain. Poor oxygenation. This can come from birth trauma, where the bones of your head have not grown in proper patterns and constrict your airway in certain areas. This causes that person to clench= more brain inflammation. Tongue tie can also cause improper palate expansion which causes the sinuses to grow narrow. Deviated septums are great examples of oxygen deficiency in the brain. Mouth breathers are another or sleep apnea. EMF exposure (opens the blood brain barrier). Don’t ever put phones to your body or your child’s! So what are immune boosting measures that can be done especially now to boost the immune system and in particular help to heal the brain? A study done for just spinal chiropractic care showed that individuals under regular chiropractic care had a 200% greater immune competence than those not under care! This is not even including cranial care. With Craniopathy care, I am able to address the brain inflammation at its source, where it resides, the head! When dealing with the motion of the bones of the head, making sure that motion is proper is vital. When the brain is in a more balanced environment, it will function better, it will signal those immune system organ’s better, and not cause your immune system to act crazy, its not rocket science. But, you also have to address other issues that might be present like airway compromise, tongue tie, bite abnormalities/TMJ which one or all can be present and cause the motion to continually be irregular. This is why I co-manage many of my cases with functional dentists, ENT and myofunctional therapists. If you have airway compromise, then you will continually have infections, and most likely teeth infections, because most the bacteria in the mouth are anaerobic (meaning don’t like oxygen) so its an optimal environment. When dealing with autoimmunity and immune system regulation controlling inflammation is the number one priority. After we address that brain inflammation, we can then tackle supporting the organs that need it for direct immune system support, but craniopathy must be first! More to come on this topic so stay tuned! Broccoli is an immune modulator and helps fight flu causing viruses. What a powerhouse! 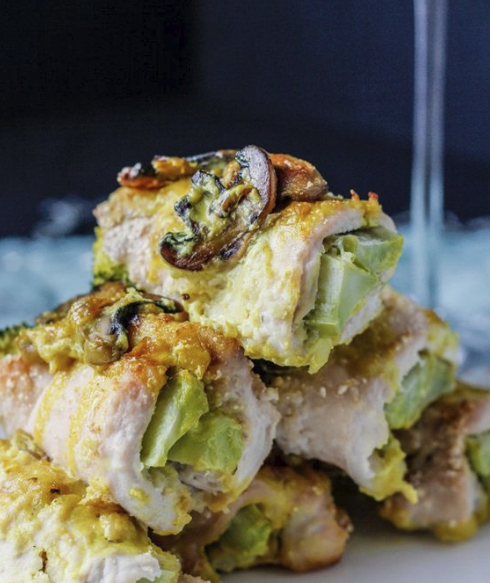 Broccoli is a super source of dietary fiber, minerals, vitamins, and anti-oxidants. Phyto-nutrients help to protect us from prostate, colon, urinary bladder, pancreatic and breast cancers. We all know Tumeric is an amazing anti-inflammatory, anti-cancer, and just overall amazing for the immune system! ON the spotlight this week is Juniper Berry! Juniper Berry Essential Oil is an intense & natural detoxifier. It’s cleansing & detoxification properties are what make this Essential Oil especially effective for treating autoimmune diseases. 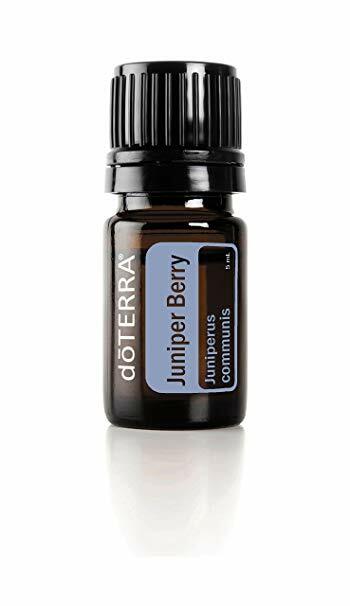 I recommend using Juniper Berry Essential Oil for treating all type of autoimmune associated arthritis, gout, grave’s disease, psoriasis & more. To use Juniper Berry Essential Oil, blend 30 drops of Juniper Berry & 30 drops of Cypress Essential Oils into a dark, glass bottle with a dropper. Run yourself a warm bath, ensure the water is as warm as your can stand, & then add a few drops of the Juniper & Cypress Essential Oil blend. Start with just 2-3 drops of the blend & add more if required. With your bath drawn, all that’s left to do is lay back & relax. This blend of Essential Oils is also extremely beneficial when diffused in your home.